Tugboat Pulls Big Inflatable Duck Past Roosevelt Island Underneath Queensboro Bridge On East River Today - Did You See It? 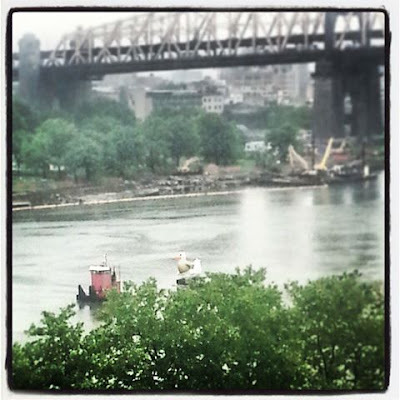 That is a big inflatable duckie being pullef by a tug boat under the Queensboro Bridge..view from Roosevelt Island. The PS/IS 217 PTA is excited to be organizing its Annual International Dinner Fundraising Event on June 8, 2013. We are depending on Community Businesses and families to help make this very special event a success. Due to budget cuts, PS/IS 217 relies on fundraising activities to maintain our School Enrichment Programs alive for the 2013-2014 school year. You can help our school by either making a monetary donation or by setting up an Individual food tasting table to showcase your business. Please find below a donor form to donate and fill out, copy for tax purposes and return with your donation. This year’s event will include a sit-down dinner, wines from around the world, live entertainment and multiple “food stations”, all donated by families and the community. We are also extending this invitation to local politicians and community leaders. Through the joint effort of our school community and our local community, this event is sure to be a memorable one for the children, families of our school and the business that help to make it a success! We look forward to your generous support in making this a successful event. Tickets are $15 for adults, $10 for children and $50 for up to 4 members in a group. And knowing that you contributed to the good cause of helping out Roosevelt Island children at PS/IS 217. 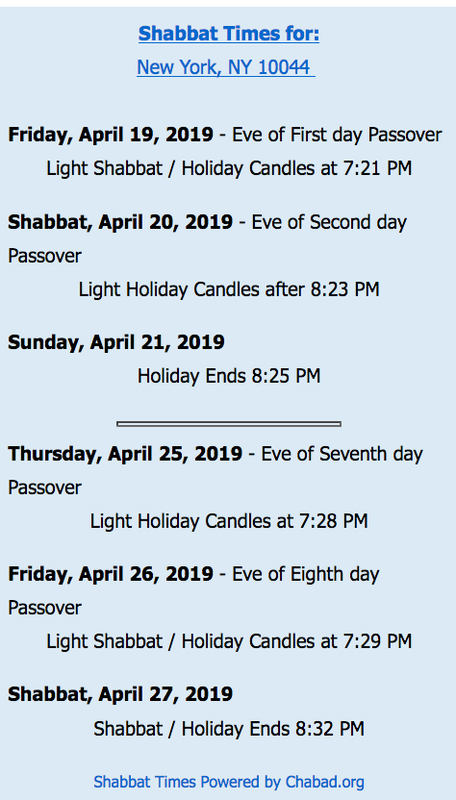 Click here for more info about the International Dinner and the Roosevelt Island PS/IS 217 PTA. The Roosevelt Island Public Safety Department is currently engaged in a work slowdown according to NYPD and Roosevelt Island merchant sources. During the past two weeks, routine calls for assistance which the Public Safety Department would normally handle are being refused by the Public Safety Department requiring NYPD officers to respond. Once NYPD responds to these minor incidents and makes an arrest, the officers are no longer available to patrol Roosevelt Island or other areas of the 114th precinct. The Roosevelt Island Public Safety work slowdown results in NYPD officers being taken off the streets of the 114th precinct and unavailable to prevent or respond to more serious incidents. The NYPD is not pleased with the Roosevelt Island Public Safety Department at the moment. An example of the Roosevelt Island Public Safety Department work slowdown happened Tuesday evening at approximately 6 PM. 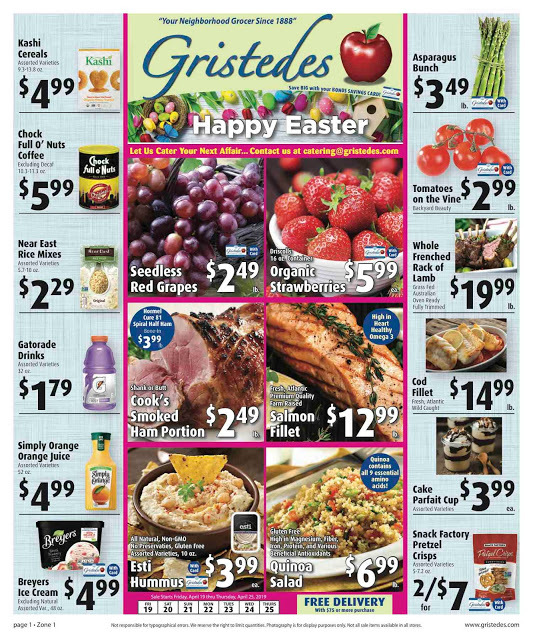 A minor shoplifting theft at Gristedes occurred. 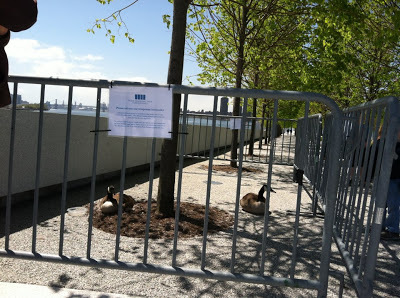 As they have routinely done in the past, Gristedes called the Roosevelt Island Public Safety Department to handle the incident but Public Safety did not respond. The NYPD was called and made the arrest which resulted in the Officers being unavailable to continue their normal patrol. Gristedes representatives told me that Public Safety's refusal to respond to this minor incident was not an isolated event. I have been informed by sources in a position to know that the Roosevelt Island Public Safety Department has been engaging in a work slowdown for at least the past two weeks refusing to answer certain calls for assistance that they would normally respond to. Have not received any response from RIOC yet. I am not sure which would be worse - RIOC being aware of the work slowdown situation and not doing anything to correct it or not being aware of it at all? A reasonable question to ask and have answered is whether the Public Safety Department work slowdown is their response to the ongoing Public Safety leadership controversy and brutality allegations? RIOC President Indelicato learned first hand about the current Roosevelt Island Public Safety Department controversy when she presided over her first Board meeting on May 30. Before the start of the Board meeting, several Roosevelt Island residents spoke about the ongoing Public Safety Department leadership controversy and brutality allegations. Here's some of what happened. From Erin Feely-Nahem. My name is Erin Feely-Nahem, and I am the Chair of the Roosevelt Island Resident's Associations Public Safety Committee. Tonight I am here to address the burning question of the Public Safety Department and its current leadership. For this community, right now, this is without question, the central and most immediate problem that your new Administration faces. While I am aware that Ms. Indelicato is new to her position, the situation with the Public Safety Department, the numerous complaints and law suits, and the continuing arrogant and unconstitutional behaviors, are not new for the rest of us and have escalated to a place where the community wants change, as evidenced by the attendance at our February 16th and April 21st Rallies. For the Public Safety Committee the issue isnʼt about having Public Safety Officers as our Law enforcement entity. We are not advocating for the replacement of Public Safety with NYPD. Unlike what some may think, we donʼt hate Public Safety Officers, we just dislike what some of them have done and what the department's philosophy has become. What we do want, and what we believe the documented facts support, is new leadership at the head of the current department, and the removal of those officers who have engaged in abusive or brutal behavior. We want a Director who will teach the officers to respect our constitutional rights, put an end to the long standing pattern of abuse, false or frivolous arrest and detentions and one that will create a department with a different philosophy, more in sync with our community's needs. We are asking for a department that is accountable for their actions, and one that has real authority which is based on mutual trust and respect. This is all that we want and all that we have been asking for, but we are growing inpatient. It has been almost 5 months since the vicious beating of Anthony Jones, a case where charges were never even filed by the DA. But this isnʼt only about Anthony, it is about a pattern of behavior over the past 5 years, reflected in dozens of cases, where residentʼs rights are ignored, and where a culture of disrespect, abuse and a type of callousness, has replaced the respect and compassion a community "friendly" Public Safety Department should have. It is stunning to me personally, as someone who has spent dozen of hours investigating claims and allegations of mistreatment and abuse, and having discussed such cases with Director Guerra, on a number of occasions, to be able to tell you that not once has Chief Guerra ever acknowledged any misconduct or wrong doing, of any of his officers, nor has he offered this community apologies or any explanation for the number of law suits that have been filed, or incidents cited. These facts indicate that the trust and respect of this community were never a priority for Director Guerra. He was arrogant and self assured, confident that his way was the right way, therefore the only way. Suggestions given to him when grievances were aired fell on deaf ears. He continued to encourage and condone a philosophy of zero tolerance – maximum enforcement of the laws, instructing his Officers to arrest whenever they could, even if it was for a minor violation that would be thrown out of court, as a way to change what he thought was our communityʼs perception of Public Safety Officers as “Toy Cops." We all want the same thing: peace and stability.We want a PSD that is credible, trusted and respected by our children and our neighbors, one that has the proper authority to keep us safe and secure. We are grateful to have a new President aboard and hope that under your leadership RIOC and its Board will take the actions required to reform the current Public Safety Department, and to give us back our dignity and our home. Also, testimony from other residents. during the May 30 RIOC Board meeting Public Session. It's time for RIOC to end its silence regarding the Roosevelt Island Public Safety Department's relationship with the community. 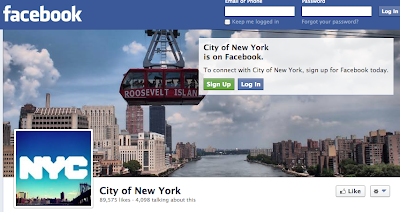 What symbol do you think the City Of New York would use as a cover photo on its Facebook page to represent the greatest city in the world? The Empire State Building, Central Park, Statue of Liberty? Nope. 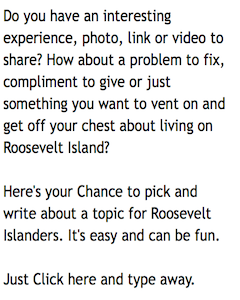 How about a yellow taxi cab, the subway or Staten Island Ferry? Wrong. It's us - the Roosevelt Island Tram is currently the cover photo for the NYC Facebook Page. 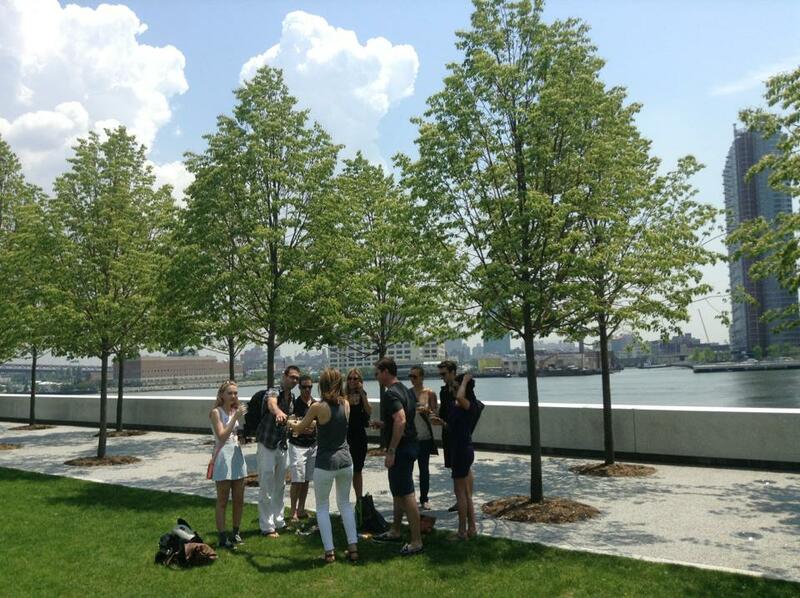 Attention is being paid and times are changing for Roosevelt Island. Except certain visitors to the FDR Park are treated more kindly like this happy group drinking champagne and toasting each other last Friday afternoon. Other visitors to the FDR Park even received drop off limo service last Friday so they could avoid the rest of Roosevelt Island. 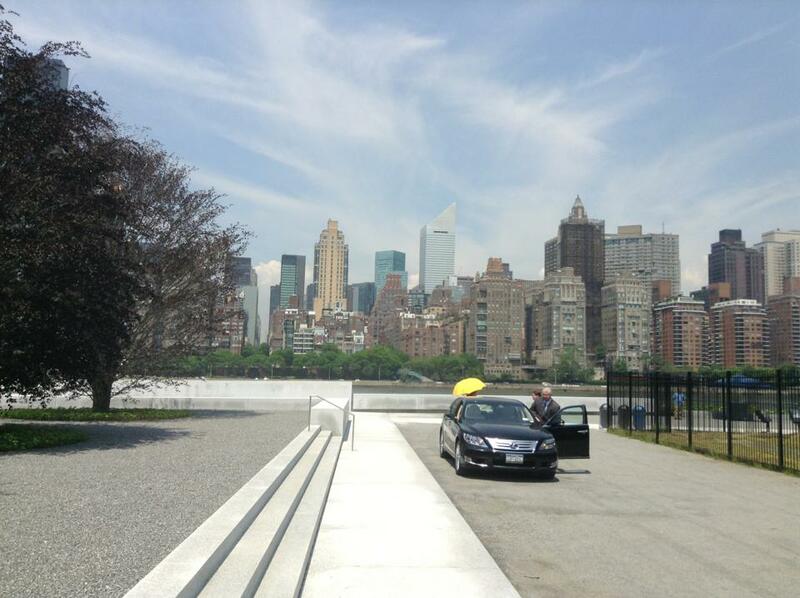 Later this afternoon the FDR Park Conservancy is holding a Summer Garden Party fundraiser. Tickets range from $250 to $10 Thousand. I wonder if they will allow people to eat and drink on their Kahn "Sacred Space" at the fundraiser? still be there for tonight's fundraiser? They were not there last Friday. 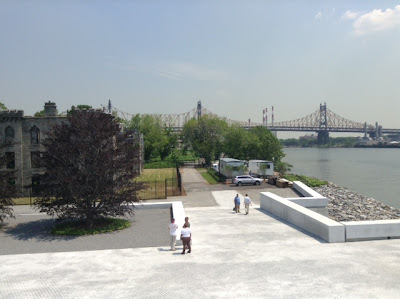 In other FDR Park news, responding to my inquiry on the subject, Roosevelt Island Operating Corp (RIOC) President Charlene Indelicato reports that there will be a Roosevelt Island pilot project ferry service this summer between the FDR Park and 34th Street in Manhattan. Ms. Indelicato noted that no Request For Proposals or full RIOC Board approval is necessary to proceed with ferry service for the FDR Park. Ms. Indelicato believes that ferry service at the FDR Park will benefit all of Roosevelt Island and will provide data to justify a future Roosevelt Island ferry service in another part of Roosevelt Island. Will have more on this coming up. Who runs this place, RIOC or the FDR Park? on store leasing and the renovation of Roosevelt Landings/Westview Arcade. Here's a summary of the meeting from RIRA Real Estate Committee. Eastwood rehab should be finished in a month. There will be a delay rehabbing the other side of the street because approval needs to be given from building owners. The current graphics on the vacant windows are "temporary". H/R thinks they are snazzy and worthy of conversational. Members in attendance expressed mostly displeasure. Trellis - submitted renderings. But there is a dispute with how to enclose trash which must be okayed with both RIOC and owners. Also. there some exterior design problems holding up the renovations. 504- no movement for either floors. The library is being slow but hopefully a lease will be signed the end of June. Flanagan - may be moving out. He expressed interest in starting a new business. Thrift - will be downsizing at some point. Benches - prototype for Main Street is being designed. Kiosks - stay of execution for current ones. Status quo on the electronic ones. Hardware Store - waiting for judge's verdict. Accountant and We are One - are in some sort of proceedings. Bakery - Fav's Bakery wants to come to site of old bakery. in negotiations. No comment on new leases. UPDATE 6/17 - Clarification, Dr. Flannigan's practice at 507 Main Street Roosevelt Island since 4/1/2000 is not relocating. No Roosevelt Island Tram Service Tomorrow Night 10 PM Thru 6 AM For System Upgrades Says RIOC - Will Tram Cooling System Be Part Of Upgrade? Please be advised on Tuesday, June 4th 2013, both Tram cabins will be out of service beginning at 10 PM due to routine scheduled system upgrades. The Tram will resume normal service on Wednesday, June 5th at 6 AM. during the hot summer months is part of the system upgrade? You keep using words like Yuppie and Hipster, but I don't think you know what they mean. Regardless, the Tram upgrade bid included Air Conditioning. RIOC sought out proposals that included it and it was part of the winning bid. Then, once it was "too hard to do", it seems they dropped it without so much as a second thought. It's not about complaining, it's about expecting a newly renovated and modernized transportation option to have something that should and could be present. Even the old subway cars had fans in them. The Tram is - like it or not - one of the more unique things about our island. It attracts visitors and also serves all residents. Asking for it to be comfortable and convenient doesn't seem like a silly request. Its not about not being able to deal with the heat. Its the fact that RIOC isn't solving simple problems, and in the case of the tram station remodel making things hotter, more cramped, and less enjoyable. How much did they spend on "updating" the perfectly good tram station so now that place sizzles like a green house? This problem is so easily solved it is laughable that it hasn't been yet. The tram upgrade was not completed according to the contract. There was also a daily monetary penalty for not finishing on time, which I don't think was ever collected or deducted from the cost. In the real world they would have been sued by the other bidder or bidders and probably RIOC. I would suspect that the former management of RIOC thought that they could do whatever they wanted, tell people anything and then duck the problem. This past Friday we had a reminder how the fragility of the systems we rely upon to sustain us when electric power was interrupted. I hope you were not seriously inconvenienced. Before 6AM on Friday the Island north of Island House lost power when a car fire on the Koch - 59th Street Queensborough bridge damaged two of the three electric feeder cables serving Roosevelt Island. The other three feeds were out of service for maintenance. This is Murphy’s Law. A car catches fire on the bridge at exactly the time three of our feeds were being serviced and the driver chooses to stop exactly where it would damage two of the three remaining feeder lines. Emergency response began shortly after 6 AM. By 5PM nearly all buildings had power for basic functions, although the emergency was only fully resolved Sunday morning. The time was necessary to patch systems and bring up supply and load demand in a measured, deliberate, fashion. This required that many buildings and facilities run temporarily on generators with carefully timed restoration of ordinary grid power service. This type of emergency can happen at random times but we on Roosevelt Island were well served by a coordinated response by all agencies, starting with RIOC. They kept lines of communication open, got the buses out and running, converted the Tram to emergency operations, and helped get Con Ed in place and in action. Most importantly, RIOC coordinated with the Office of Emergency Management (OEM) to give them the local intelligence necessary to ensure a well-coordinated response with FDNY, NYPD, ConEd, HHC, EMS, and the housing companies and facilitated keeping them all in the loop. Howard Polivy, RIOC Board Member and Chief of the Community Emergency Response Team (CERT) attended planning meetings with these organizations and witnessed an impressive coordination of efforts. I’d like to specifically thank the RIOC Engineering, Grounds, and Public Safety departments, and the executive and office staff who made sure this holiday weekend would be memorable, not notorious. I also thank all others who responded on our behalf. This emergency highlighted one of the central problems for all emergencies, communication. There must be systems which allow detailed, local, announcements to be made that may reach us even when our electric power is lost without warning, and better than door-to-door. Some buildings may have central communications systems that allow phone and email blasts to get announcements out. But what if the electricity is out? These methods may not work. We need everyone to be reachable even without phone or email service. Maybe we need old-fashioned loud-speakers as well. To register online, click the “Enroll” link in the left hand menu on this page. You will be asked for basic contact and location information so messages can be tailored to your area of interest and delivered by the methods you select, such as email, phone, or SMS/text. You must then check your email inbox for a confirmation email from Notify NYC and follow the instructions to finalize your enrollment. To register by phone if you do not have an email address, call 311 and ask to register for Notify NYC. You will then be connected to an automated registration system that will guide you through the registration. Last Friday’s relatively small and relatively harmless power emergency reminded me that Roosevelt Island needs all building managers and emergency response agencies to gather and review plans and preparations. I’d like to hope that each building has its plan, with staff assigned important roles, especially securing the immobile and infirm, in coordination with Public Safety, as first-line responders. RIRA had a glitch in our action contact list. Unfortunately the person who managed the contact list was without electricity and internet. Hence we couldn’t access the neighbor-to-neighbor alert list. In the future, we plan to safeguard a paper list to be used if the power is out. I hope RIOC, in turn, keeps its own plan updated, and coordinates closely with OEM, so that the OEM master plan, which directs all the responding agencies and resources, is current and as complete as possible. Last Friday was reassuring in that the agencies were successfully orchestrated from OEM. 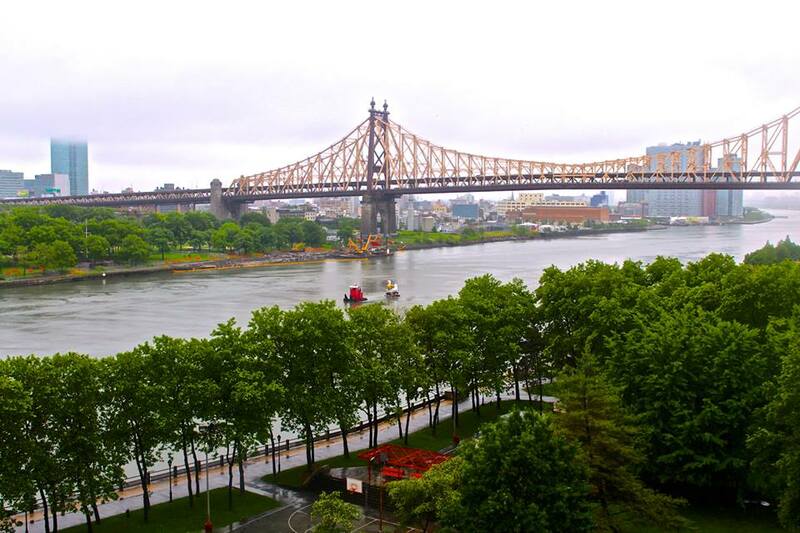 Roosevelt Island is likely to be reclassified under the city’s new evacuation zone maps, which will come out this June. There will be meetings to present the new classifications and review emergency plans and procedures. Roosevelt Island’s CERT team will have its role in publicizing the information as hurricane season begins. CERT stands for Community Emergency Response Team. New York City has teams organized through the community boards and are under OEM. A primary role of CERT in New York is to augment the full-time first responders, FDNY and NYPD and here on Roosevelt Island, PSD. Teams also aid in community education and building resilience. Interested in helping? A special CERT training session has been scheduled for 10 session over 5 weeks beginning June 18th, to be held at OEM Headquarters, 165 Cadman Plaza East. This is easily accessible from Roosevelt Island. Please contact Howard Polivy, RI CERT Chief if you are interested: hlpolivy@yahoo.com or 212-362-2389. This past Saturday RIRA collected a record number of pledges for donating blood at our blood drive on Roosevelt Island Day. But please don’t let other people do the work for you. If you haven’t signed up yet, please do. Someone in the City needs your blood and you can make a difference. Even if you think you can’t donate, sign up anyway. You might be allowed to give this time. You can sign up at the blood drive table at the farmers market every Saturday until Roosevelt Island Day and on Roosevelt Island Day as well. 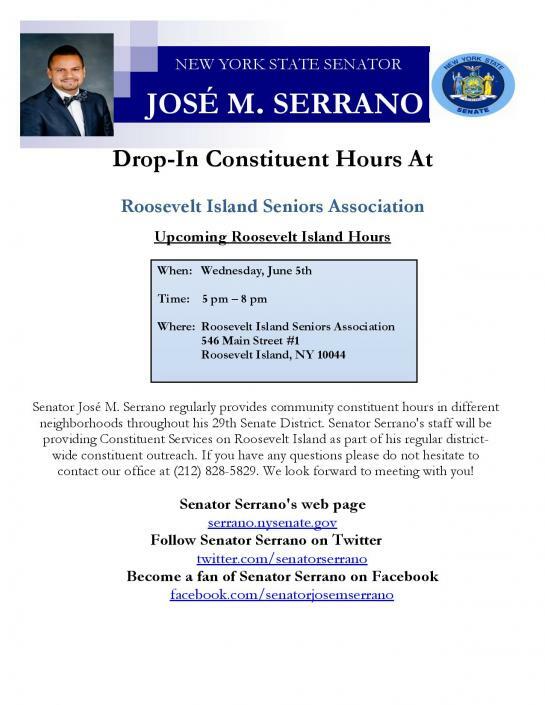 The blood collection will be done at the senior center from 10 to 4pm on Roosevelt Island Day (Saturday, June 15) Hope to see you there. RIRA Common Council meeting is on Wednesday June 3 at 8pm. @therealtavie Sounds like my dad! @rooseveltisland(er) even got him on video. youtu.be/p8tCQ2SLvDE Maybe next time they should do a duet. The Roosevelt Island Sing For Hope Piano will be at Good Shepherd Plaza thru June 16. 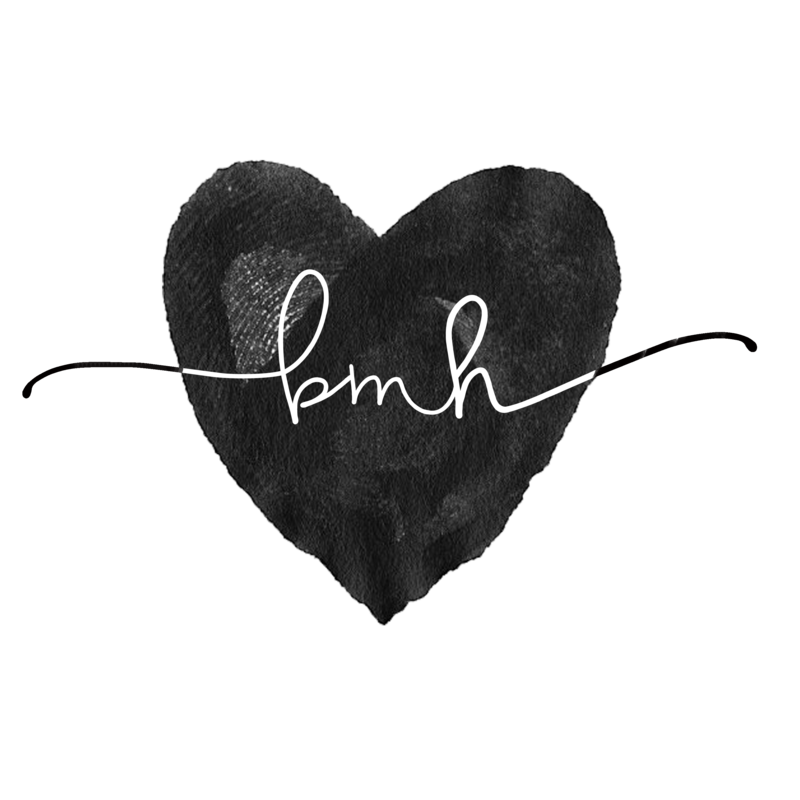 Check it out and play or just listen. More on NYC Sing For Hope piano public art installation from previous post. 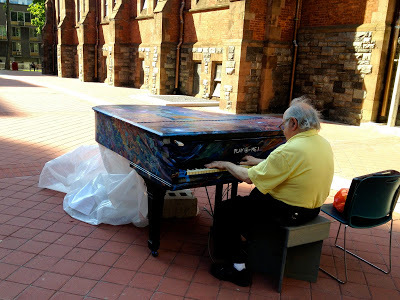 UPDATE 6/3 - More Roosevelt Island Sing For Hope piano playing at Good Shepherd Plaza from Don Semenza, this time with vocal accompaniment. Another Roosevelt Island Sing For Hope performer.